How to Buy Nem (XEM) Coin – Nem is definitely a long hodl coin which I am recommending you to hold until 2019 because currently, it is at 6th Rank in CoinMarketCap and trust me I only see it coin up in future. Nem or its token name is XEM is a great peer to peer cryptocurrency that is here to stay. It has got great tech and really good team to back it up and we shouldn’t be forgetting about the market cap of Nem or XEM which is 14 Billion Dollars. After our article on How to Buy Cardano went pretty viral, people started requesting us to write articles on How to Buy Nem Coins or How to Buy XEM coins. So we have put up this article to guide you people through on How to Buy Nem Coins or How to Xem coins without much hassle. What is Nem (XEM) Coin? How to Buy Nem (XEM) Coin – Where to Buy Nem (XEM) Coin? 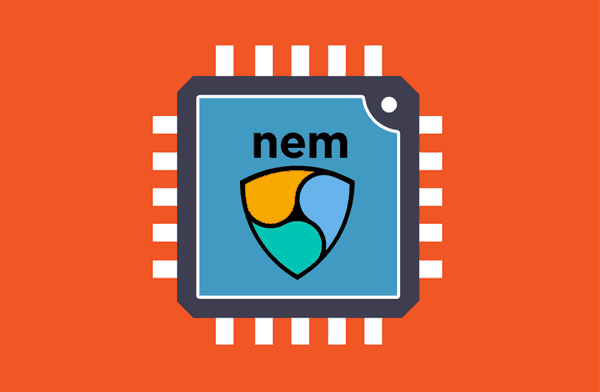 (According to Wikipedia) NEM is a peer-to-peer cryptocurrency and blockchain platform launched on March 31, 2015. Written in Java, with a C++ version in the works, NEM has a stated goal of a wide distribution model and has introduced new features to blockchain technology such as its proof-of-importance (POI) algorithm, multisignature accounts, encrypted messaging, and an Eigentrust++ reputation system. The NEM blockchain software is used in a commercial blockchain called Mijin, which is being tested by financial institutions and private companies in Japan and internationally. Ledger Nano S is a hardware wallet which is super good. It is almost impossible to hack this wallet because it is a hardware wallet. Ledger Nano S Supports all the major cryptocurrencies so you only need to buy it once and you can store all your coins in it. It supports all the major coins such as bitcoin, Ethereum, Litecoin, Cardano, Tron, XEM or NEM and other cryptocurrencies. Firstly, you need to buy Bitcoin or Ethereum to buy Nem because you cant use your fiat currency which is your normal currency that you use such as US Dollar or Euro or Indian Rupees. After you have brought your bitcoin or Ethereum, you need to create or register an account in Livecoin to get your Nem (XEM) coin. After creating an account in Livecoin, you need to deposit BTC or ETH in your Livecoin account to buy Nem XEM coins. After opening balance page, scroll down and find the cryptocurrency that you want to deposit, i.e Bitcoin or Ethereum. You will get a unique deposit address, Copy the address and transfer the required Bitcoin or Ethereum from Coinbase or LocalBitcoin to that Bitcoin or Ethereum deposit address. After depositing your BTC or ETH to Livecoin, now you can buy Nem coin in Livecoin. Click on Buy/Sell in the menu bar. In Left side select BTC, if you want to buy Nem using Bitcoin or Select Eth if you want to buy Nem using Ethereum. Enter the number of Nem XEM coin you wanna buy. After you have brought your bitcoin or Ethereum, you need to create or register an account in HitBTC to get your Nem (XEM) coin. After creating an account in HitBTC, you need to deposit BTC or ETH in your HitBTC account to buy Cardano ADA coins. Click on Deposit/Fund on the right side top menu. Click on Exchange in the menu bar. Scroll down a bit and you will find a box called as Instruments, In that select BTC if you want to buy XEM in bitcoin or select Eth if you want to buy XEM in Eth. Enter the number of Nem XEM coin you wanna buy and then enter the current price. The order will go through the order book in HitBTC, only it reaches your order requirement if will automatically buy XEM coins. Conclusion: That’s it. This is how to buy NEM (XEM) Coins. All you need to do is to follow the above-mentioned steps properly and you will buy your coins safely. Once you have your coins, just transfer them to your Ledger Nano S Wallet because it’s not that safe to keep the coins in the exchange for a long time. If you feel this article was helpful then please share it with your friends via Social Networking sites such as Facebook or Twitter. Thank You!